This past Saturday night was THE ultimate shift for our small town, independently-owned Renfrew restaurant, Coco Jarry’s. We had nearly a full house for a solid three and a half hours, AND it went super smooth. All the guests left happy and none of the staff were stressed. If you’ve ever worked in a restaurant, especially in a small town under an independent owner, you’ll know that this kind of shift is a rarity! What made the night amazing? One HUGE factor: Most of the groups over six people who wanted dinner phoned ahead and made reservations. But because we had enough time to prepare, we had the right staff on between the front-of-house and the back-of-house to make sure all the reservations AND walk-ins were taken care of properly! There’s a lot of competition in a small town and not enough people with disposable income (especially in Renfrew where industry is lacking and our retirement population is high). This means traffic is extremely inconsistent between locals and travelers, and greatly varies from one week to the next. For instance, one Monday we could have only one table all day; but the following Monday, we could be busier than a Friday! An independent owner MUST do everything they can to manage expenses in order to stay in business. This means keeping staff wages to a minimum by scheduling around reservations, community events and guessing on how busy it will be based on traffic in the past. Bigger restaurants can schedule more staff and handle the loss if shifts are slower than guestimated. 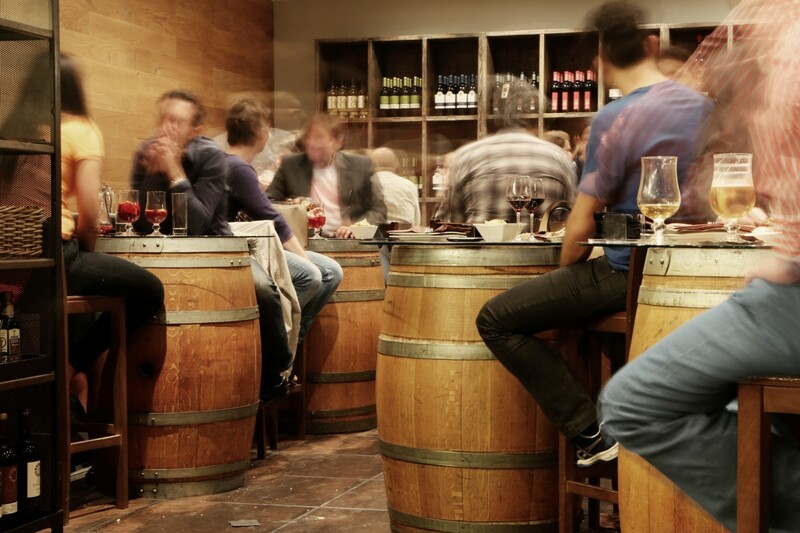 Most restaurant goers are walk-ins, including a surprising number of groups consisting of more than six people. Big tables (i.e. 10+ people) can really turn a commercial kitchen upside-down if the restaurant doesn’t expect them. For a big table to eat together, the entire kitchen staff (especially when short-staffed) concentrates solely on making those meals while all other orders in the house must be on hold. At Coco Jarry’s, the front-of-house staff are trained to notify guests when we have an unexpected influx of guests and are not properly staffed for it. We do this because we would rather give you the option of going to another Renfrew restaurant than risk you leaving unhappy! So what is the take-away here in today’s blog post? For the best service and meal quality when dining at a restaurant in Renfrew (like Coco Jarry’s), please call to reserve your table (especially when it’s 6+ people).